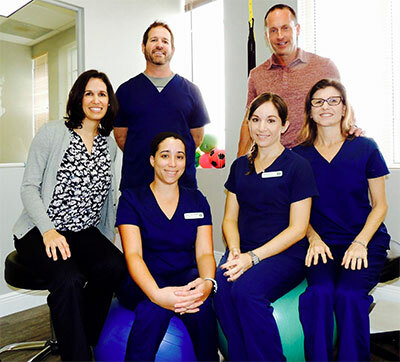 Jon Goldberg has been practicing physical therapy in South Florida for 18+ years, and the journey has been fun. He grew up outside of Philadelphia where he played HS soccer and baseball and attended Penn State University; attaining a Bachelor of Science Degree in Exercise and Sports Science. While earning that degree, he accepted the opportunity to study abroad in Eastborne, England, where his love for Physical Therapy developed. Jon Graduated from Penn State in 1993, and worked as an Exercise Physiologist, until he graduated with his Master's Degree in Physical Therapy from The University of Miami. Jon spent his first 3 years of practice in Pediatrics, and the remaining 15 years has been in the adult outpatient setting; in both Orthopedics and Neurology. Jon has both lived and coached Sports in Weston for the last 15 years and feels a strong connection with the community. Aimee Green is a family nurse practitioner, board certified by the American Nurses Credentialing Center. With over 10 years of clinical experience, she is passionate about achieving optimal health outcomes for her clients. To do this she utilizes a functional medicine approach which addresses the root cause of symptoms and disease instead of the mainstream medicine approach which merely medicates them. To help clients achieve their goals, she uses joint goal setting and tracking to support progress towards true wellness.In addition to her core medical education, she is completing a fellowship program in metabolic and nutritional medicine with the American Academy of Anti-Aging Medicine. Her areas of clinical interest include: optimizing hormone levels, addressing nutrient deficiencies through diet and targeted nutraceuticals, balancing the gut microbiome and supporting cardiovascular health through exercise and supplementation. She practices what she preaches by eating healthy, staying active and utilizing nutraceuticals for targeted nutrient support. She enjoys cooking creative nutritious meals and working out regularly. She is a wife, and mother of a spunky little girl and shares her lifestyle values with her family. Katerina is a south Florida native, dog and fitness lover, and Weston Medical Rehab's PTA and Clinical Instructor. In 2009 Katerina graduated with honors from Florida Atlantic University with a Bachelors in Science majoring in Exercise Science and Health Promotion. This led to her passion for Physical Therapy and her enate desire to promote wellness, education, fitness and functional movements and mobility with all of her patients. In 2012 Katerina graduated with honors from Broward Colleges PTA program and began her career in Weston alongside Dr. Goodman D.C, and Jonathan Goldberg MPT. In 2014 Katerina completed her studies with a Masters in Education and serves as Weston Medical Rehabs Certified Clinical Instruction. "Kat" is high energy, passionate a positive and enjoys weekends with her husband, son and two dobies. Steve has been a practicing chiropractor for almost 20 years. He began his career in Chicago but has been practicing in South Florida for the past six years. He believes very strongly in an integrative model to treatment which includes not only multiple provider types (Physical Therapists, Medical Providers, Chiropractors) but also to a holistic approach to treating the entire body and not focusing solely on symptoms. In his spare time Dr Goodman enjoys taking his Chocolate Lab to the dog beach, playing golf and pursuing his passion for fitness. Kristy has been working in the customer service industry for 14 years. Both at her present job and as a manager of a successful restaurant chain store. Born in Puerto Rico Kristy moved to the United States and lived in New York for 5 years. She then moved to the sunny south Florida where she dropped her anchor and finished her schooling and started her family. She has been married for 5 years and has a beautiful 3 year old son. Kristy has been working at Weston Medical Rehab and Wellness for the past for years and has worked her way to office manager. Kristy is in charge of all billing and scheduling responsibility, as well as being the smiling face that you see when you walk in.